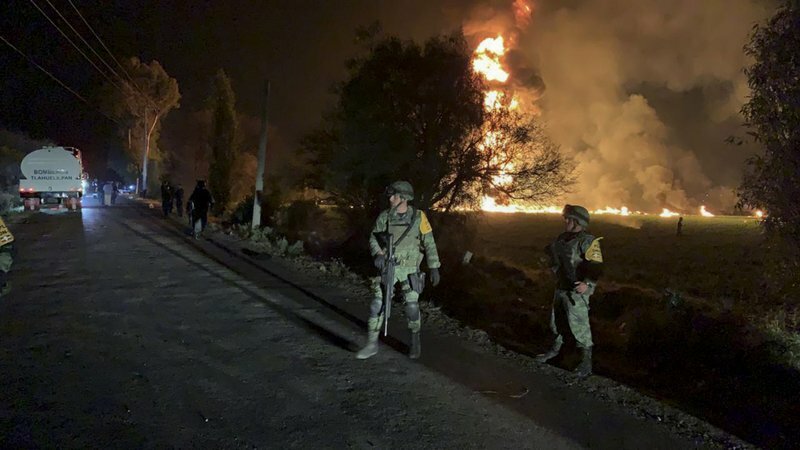 TLAHUELILPAN, MEXICO: Gerardo Perez returned Saturday to the scorched field in central Mexico where he’d seen an illegal pipeline tap burst into flames to see if he could recognize missing friends. He couldn’t. Only a handful of the remains still had skin. Dozens were burned to the bone or to ash when the gusher of gasoline exploded, killing at least 73 people.